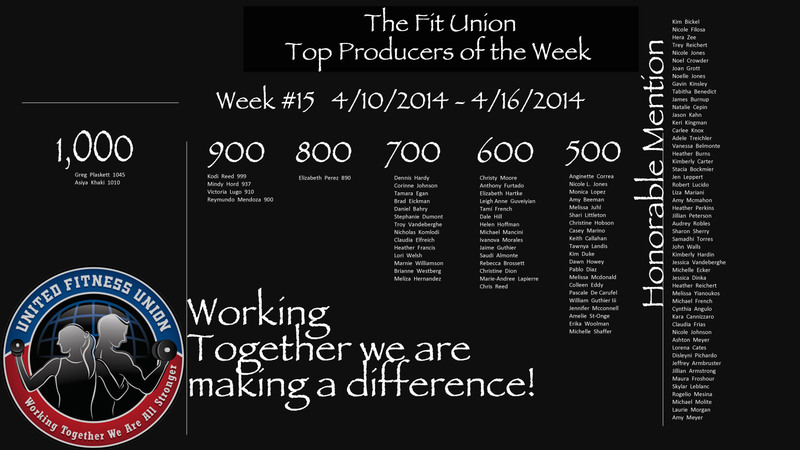 Congratulations goes out to all of these High Performing Coaches!! 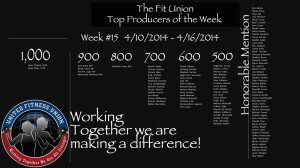 Out of our Entire Fit Union Team of 25,776 coaches for Product Volume this past week, these 109 Top Producers represent the top 0.4% of our team! 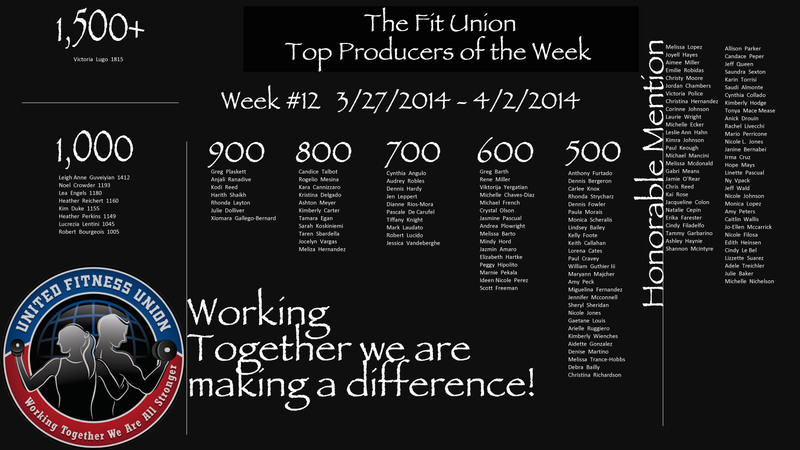 If you see someone that you recognize on this list please give them a personal congratulations on a job well done. If one of your immediate teammates is on this list then definitely recognize them with a Great Big Post on their wall to show them how proud that you are of their achievement! You know how great it feels to help so many new people so PLEASE celebrate this WIN with your teammates as they are super excited about all of their growth this past week!